Thank you for reading my blog. I’d love to know what you think of my posts, so please use the Comment feature to leave me a message. I promise to read them all. 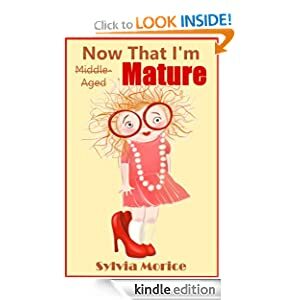 Also please note that unauthorized use and/or duplication of this material without express written permission by Sylvia Morice is prohibited. 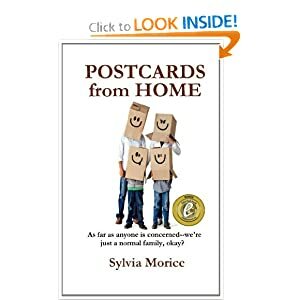 Excerpts and links may be used, provided that full and clear credit is given to Sylvia Morice with appropriate and specific direction to the original content. Thanks for stopping by, and please, don’t be a stranger! Where Shall I Start? Why, At The End Of The Year, Of Course! Foto Friday – Snow? What Snow? We Still Go To Tim Hortons! I went to bed last night filled with such good intentions for today. I would accomplish SO MUCH and check off SO MANY items on the seemingly ever-growing list of items that need checking off this month. I would be happy because I caught up on household chores and holiday preparations and by the end of tonight I would be exhausted but thoroughly and deservedly pleased with myself. Instead of sleeping last night I spent the hours of darkness turning from side to side to side like a fish being pan-fried in hot cocoanut oil. I could not quiet my mind. It was filled with thoughts of the chores I need to do and the obligations I have to fulfill; it showcased the faces of people I care about who are still alive and the faces of people I’ve lost, sometimes all jumbled together in ways that made no sense to me; it ran mini-movies of scenes from my life – on a continuous loop – like Bill Murray in Groundhog Day reliving the same day over and over and over again until he thought he would go insane. It would not let me rest, would not allow me the peace of drifting into a black void for a few hours to renew my strength and heal my body and settle my thoughts. Finally, at an undetermined time well after 5 or 6 A.M., I slipped into a restless sleep and dozed off and on for a few hours. I got up this morning, still tired and not at all ready to face the day head-on or sideways or any other way people face their days. I am on a first-name basis with insomnia, one of my many nemeses, but for the last while I have mostly had the upper hand against it. So what brought it back, swinging at me, fierce and furious, this month? Is it the fact that it’s December – a month of early darkness and low sun levels, the month when the year with all of its promises and hopes ends, the month that marks the anniversary of my husband’s death and makes me prone to melancholy? I don’t know. I know I can’t be the only person who becomes like this in December. I know I’m fortunate to have family and friends who love me, to have a roof over my head and food in my belly and warm clothing to wear in the cold, to know I can pay my bills and even help others out a bit when needed. I know I can’t change what has happened in the past, I can’t predict the future, can’t control who does or doesn’t want to be part of my life, can’t do anything except try to live mindfully in the present and stay open to possibilities. And most of the time I’m able to remember all of these things. But apparently, at night, when I’m alone in the dark, my brain sometimes forgets. It forgets and it drags me around and around the Mulberry Bush, forces me to hold hands with my guilt and regrets, makes me dance the dance of a woman who doesn’t recognize where she is, where she is headed or how she’ll know when or if she ever arrives. Please understand that I’m not writing this post to garner sympathy. I’m writing it because I made a promise that I would write honestly about myself and my feelings – from the heart – no matter what subject I tackled. Writing helps me clarify my thoughts and make sense of things that seemed to defy sense, and if my posts resonate with someone reading them then that’s all-the-better as it means I’ve touched another traveler on the road. But now I should stop writing and try to at least wrap a few gifts or practice a few songs tonight. And although I’m certainly in no hurry to go to bed, I know that tomorrow is yet another day and will bring with it another opportunity to embrace and be grateful for all that my overall good life has for me. Thanks for stopping by and reading, and remember – don’t be a stranger. This blog chronicles my experience as an active musician. two products of life's daily adventures. if you so choose.